This post is sponsored by Kraft. 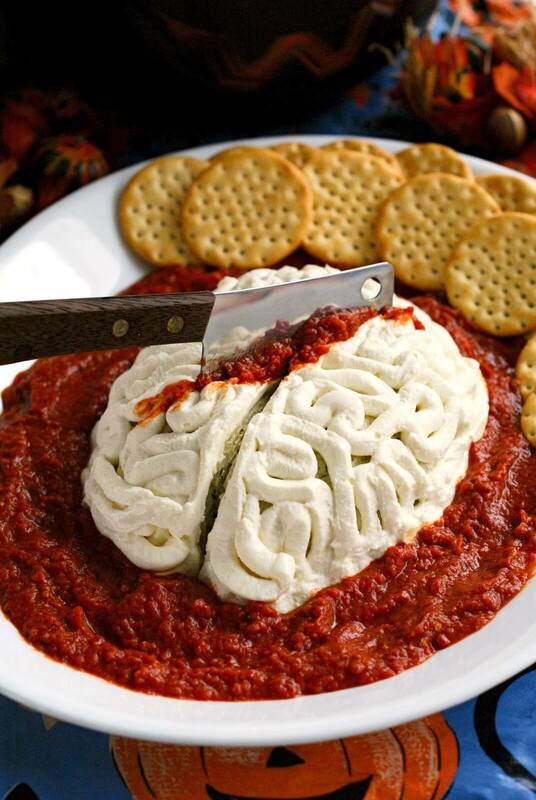 A Zombie Brains Cheese Ball appetizer will be the centerpiece of your spooky Halloween Party spread. 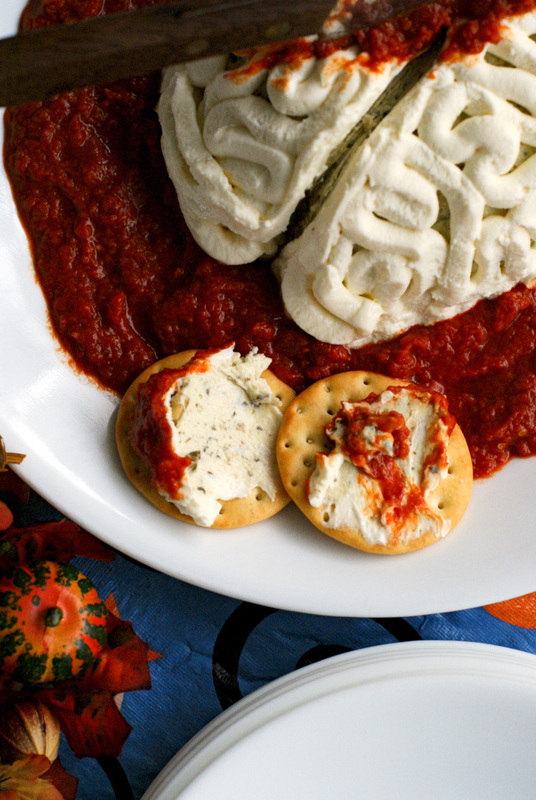 In just a few easy steps, you can make this frighteningly fun treat for your holiday celebration! October is right around the corner, and with it comes some of my favorite things: sweatshirts, bonfires, cool air, and pumpkin-spiced everything. Fall also brings Halloween, one of my favorite holidays! I have so many great Halloween memories from when I was a little girl, trick-or-treating in a homemade costume with my three sisters by my side and collecting oodles of candy in big pillow cases. We always had so much fun! I have to say, though, in all my years of enjoying Halloween festivities, I’ve never met anyone who does Halloween like my sister-in-law. She loves Halloween more than anyone I have ever met and she celebrates the holiday with ghoulish style! Every year she hosts a fabulous Halloween costume party for the whole family and lots of friends. Her house gets decked out in spooky decorations galore and she whips up a menu full of Halloween-themed treats and snacks. 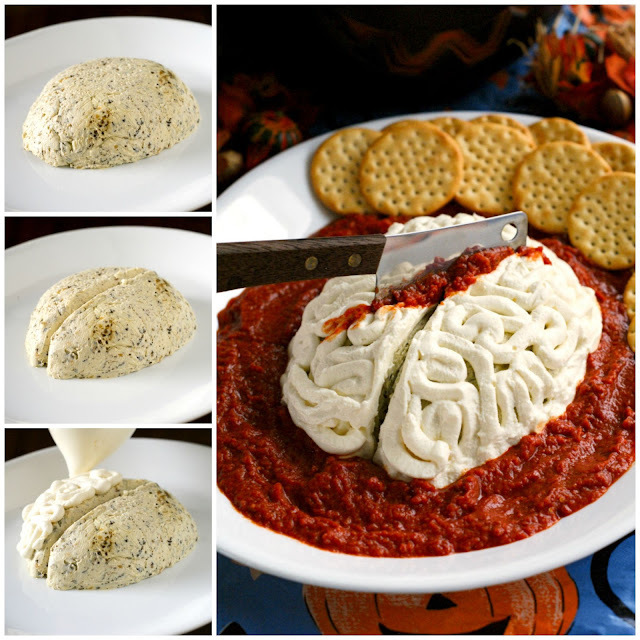 She inspired me to get more creative with my Halloween menu this year and I came up with this frighteningly fun Zombie Brains Cheese Ball. While it may look creepy on the outside, it is full of delicious flavor on the inside! 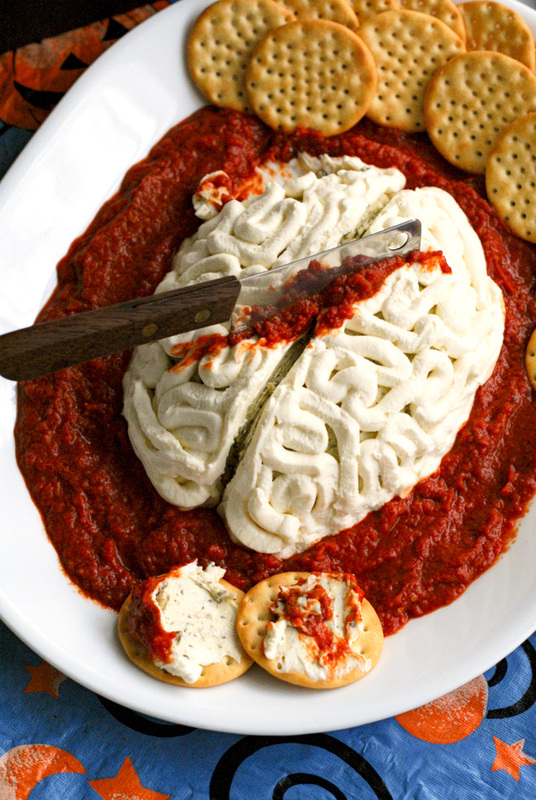 The base is a pesto and Parmesan flavored cheese ball that is topped with a smooth feta cheese mixture that is piped on to look like brains. The whole thing is surrounded by a sun-dried tomato sauce that brings a bold, garlicky punch. Not only is it easy to make, but you can prepare it in advance, which leaves you free to chat with all of the ghosts and goblins when it’s party time. I guarantee it will get plenty of Eeeeeew’s and Ah’s at your Halloween gathering! 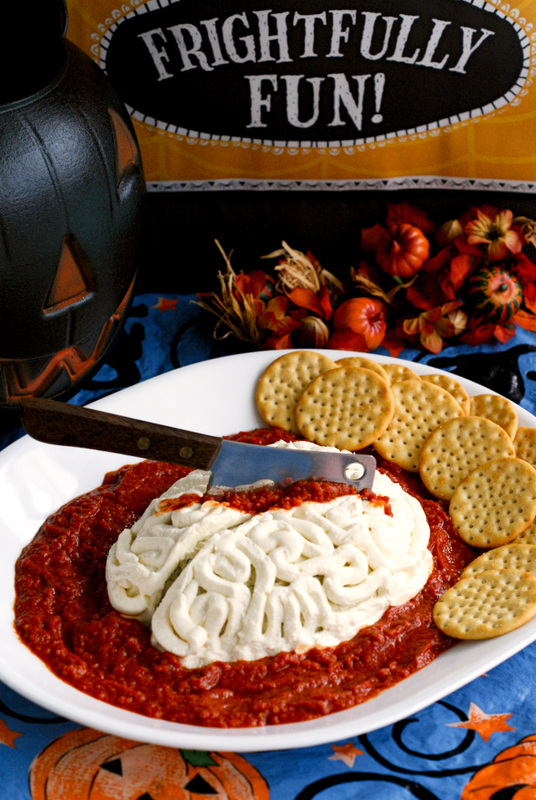 Click here for the full recipe: Zombie Brains Cheese Ball.